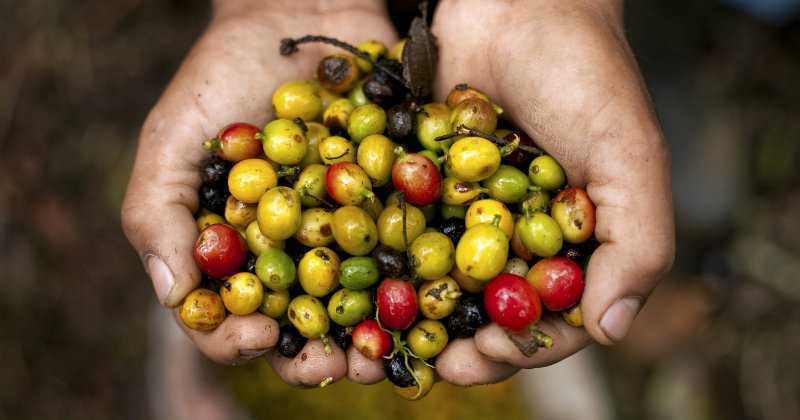 Last year was a pretty productive harvest for Costa Rica. In the history of the country there hadn’t been so much volume like the 2015-2016 harvest. Which was good but at the same time tough for farmers to sell their coffees because of the high offer in the market. Despite the harvest was massive for Costa Rica, the good quality was there and we found great coffees among a small group of 6 farmers, with whom we decided to start to work for many years. Compared to last year, this harvest seems to be lower. I have been visiting different farms and have been asking about how the harvest is looking and most of the farmers seemed to agree that there will be lower production and that the harvest will be earlier than last year. Some people think that during the pick of harvest the cherries will get ripe evenly and that quality will be better than last harvest because of better weather conditions (good rain when the plants needed), farm management and practices. The weather has been very rainy this year. It’s been raining more than last harvest. This has helped a lot to the nutrition of the plants. You can see the size of the cherries and the amount of mucilage in the cherries is looking really good this year. This is all good news, however farmers are facing a harsh reality. The cherries got ripe in the lower-middle elevations and the past few days it’s been rainy, when it should be nice and sunny, as usual during this time. Unfortunately because of this phenomenon a lot of cherries fell down to the ground and farmers lost around 30%-50% of their production. Because of this, producers and their workers had to start to pick up cherries right away although the plantations weren’t evenly ripe enough. This is serious and some growing coffee areas in Tarrazu are in state of emergency. Tarrazu depends 100% on the coffee production, farmers are really concern because this year the main Coops are paying them for 46 kg cherries around $160 US. Farmers in Costa Rica can barely cover their production costs with these prices. We at Nordic Approach are hoping to pay for the coffees we source in this region double the price Coops are paying this harvest for good quality. But not all is bad news and we need to stay positive and keep up our work, I have been visiting the farmers we worked with last year and they are happy with the results of last harvest working together with Nordic Approach for the first time. I also have been looking for new farmers with interesting projects. Last week I visited two different Geisha Projects, both farms located in Copey de Dota in Tarrazu region at 1800-2000 masl. The first family project has a very healthy and established farm with different vegetables, fruits and agriculture activities. It’s interesting to see that in a region like Tarrazu where most of the farmers plant coffee, this family just started to grow coffee, last year they sold for the first time their 3 year old Geisha coffee. The farm has planted 22 000 Geisha plants, 1200 SL-28 plants and 800 of an African unknown varietal. From the first time I visited this farm I could see the great potential this farm has. They are just starting to plant coffee and still have more land to plant coffee with great potential. I can’t wait to cup these varietals that aren’t as usual in Costa Rica. The second farm has an area of 15 hectares planted with 5 years old Geisha plants and still can grow more Geisha. They also grow Catuai, Costa Rica 95, Villa Sarchi varietals in this farm. It was great to see how healthy both plantation in these 2 farms look and how much Geisha likes to grow surrounded by vegetation and forest. We will see how this coffee will taste. By looking I can see amazing coffee coming out of this micro region in Copey. This week I visited Coopedota, one of the main Cooperatives in Tarrazu. The Coop has supported 800 families for 56 years and in the past years they started a micro-lot project. One of the Coop representative visited us last year in our Lab and we cup some samples with good potential. This year we are looking to see if we can start to work with Coopedota and help support and motivate these families to grow better coffee by paying a premium directly to farmers for the micro-lots we find good for our customers. I went for the first time in some years to the West Valley, another different region in Costa Rica. I visited 4 different farms and mills and introduced our company to these farmers, explained how we work and so on. The harvest will start in the next few days in this region and we will keep in touch with these producers and visit them again when they are harvesting and processing. It will be great to cup new coffee regions and to support some of these families in West Valley. We know they like the idea to see companies like Nordic Approach interested to improve the coffee situation in Costa Rica, most of them agree that there has to be healthy competition among the different exporters and importers that come to Costa Rica to source and purchase coffee. The options to sell more direct coffee and to have more and better options for farmers have been changing in the past years and farmers are happy to see that there aren’t anymore a couple companies willing to purchase specialty coffee, there are every time more specialty coffee traders and buyers, this means that the options for growers are more. Also the communication in between buyers and farmers is changing and we are very happy to be part of this transition in coffee and to be able to establish long term relationships with these coffee families. Are you interested to visit some of these projects? As some of you might heard we are planning an origin trip to Central America. We want to immerse you in the coffee farms for some days for you to fully understand the work we are developing in countries like Costa Rica. We are planning to take you to some of these mills and farms we just explained. Please contact our team to let us know if you are interested to join us to see further details.